A grey hazzy day in the city created just the monotone scenic look I've been longing to capture behind a colorful passing tug. This tug wasn't all that colorful as I wanted, but it worked. 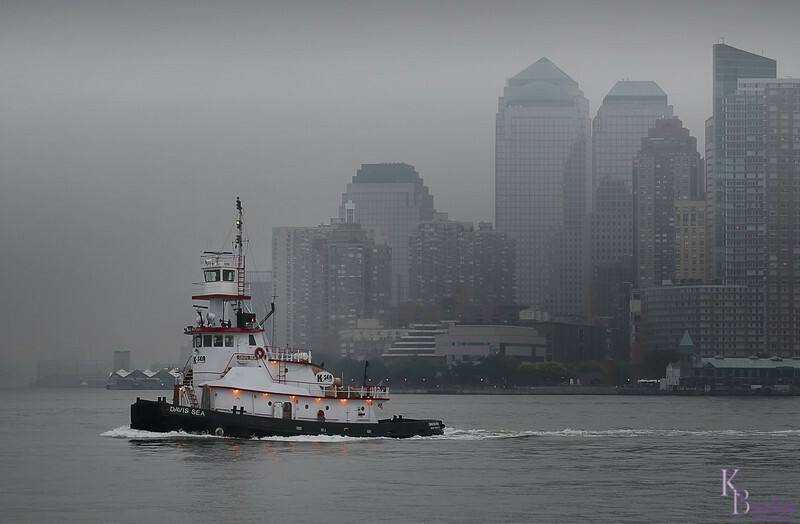 Now all I'm waiting for is a foggy day shot of a tug, with a wide sweeping NYC background as a great mood setting backdrop. Nicely captured! You a boater? My husband and I boat in Boston.